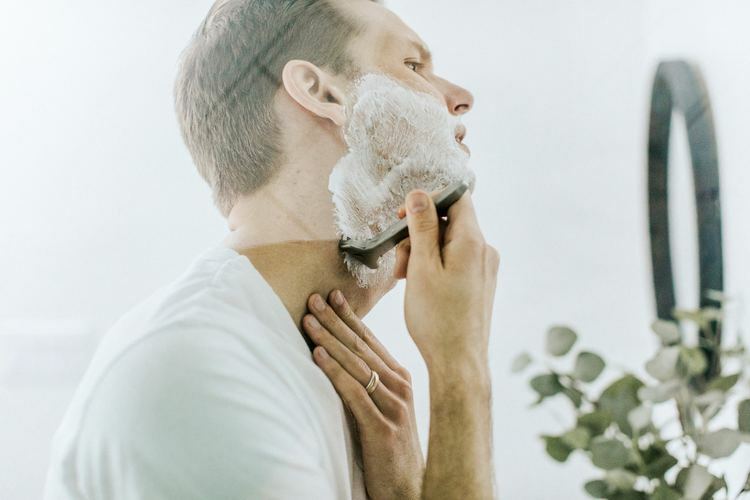 When it comes to managing and preventing acne, one stumbling block for many is the process of shaving facial hair, which—if not done correctly—can make the condition worse. But don't worry! Below you'll find dermatologist insights and recommendations on shaving to prevent breakouts, those pesky ingrown hairs, and skin irritation. Shaving the wrong way and with the wrong tools can cause or worsen acne breakouts as well as cause other irritation—especially for those who are acne-prone and have sensitive skin. In fact, in many cases, "pimples" on the jawline neck can often be confused with acne when they are in fact, something entirely different called. "folliculitis". This is irritation of the skin caused by inflammation around the hair follicle—often an infection of the bacteria Staph Aureas. Is it OK to shave if you have acne? If you already have acne, it is totally possible to shave acne-prone skin without causing or worsening existing breakouts. However, shaving must be done with caution, care, and the right tools. Otherwise, it can cause irritation, spread bacteria, and lead to a worsening of the acne condition. For some people, when done the right way, shaving (or what's called "dermaplaning" in skincare) can actually help prevent future acne breakouts by sloughing up dead skin cells that can otherwise build up and clog pores. Heat and humidity will soften your beard and make your shave smoother and less irritating. If you can, plan to shave after washing your face with warm water. Even better, take a hot shower first as the steam will help prep the skin. Pro tip: do not run your face under excessively hot water as this can cause irritation to the skin. When it's time to cleanse your skin, turn the dial so the temperature is warm but not hot, or wait to wash your face in the sink. Use a facial cleanser with medicated anti-acne ingredients such as salicylic acid or benzoyl peroxide. Preferably customized to your skin type, acne severity, and sensitivities (click here to take our quick quiz and find the right cleanser for your skin). Shaving with a high-quality razor will pay dividends in the long wrong. Not only will they provide a better, closer shave, but they also tend to last longer than cheaper options. Using a standard, multi-blade razor or single-blade razors (aka "safety razor" — those vintage looking metal tools) is preferable to using electric shavers. Electric razors have a tendency to crush the hairs of the beard and may penetrate and wound the skin. Here are some brands we love! Ensure you are shaving with a fresh razor blade that isn't dull, rusted, or full of bacteria. Now that's setting the hygiene bar pretty low...if you really want to prevent breakouts and irritation, you should really be using a fresh blade at every shave and keep fresh lades in a clean, dry, environment. Standard shaving creams found on your drugstore self are frequently comedogenic (clog pores), contain alcohols, and can be extra drying...this is a recipe for disaster for acne-prone skin as it can cause an increase in the production of sebum and ultimately pimples. 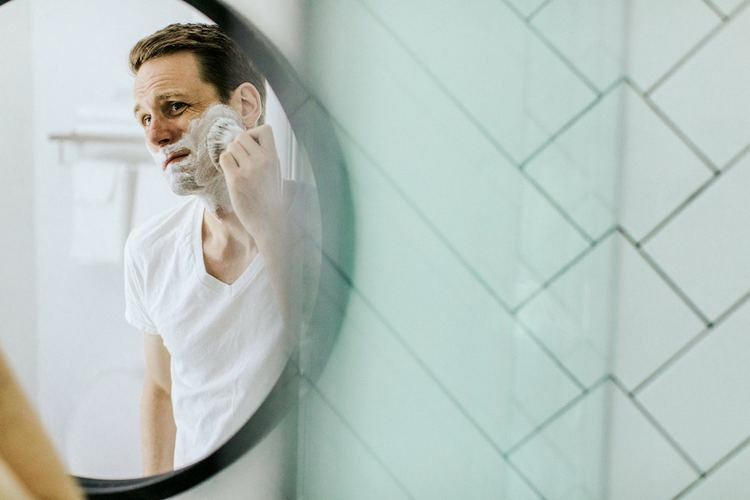 Higher-quality shaving creams can also be a bit pricier but trust us, this small investment upfront is totally worth it if you want clear, acne-free and ingrown-free skin. Here are a couple of non-comedogenic options we like! *Note: pre-shave oils seem appealing and can work great for some folks. However, they're not the best idea for acne-prone skin as they can clog the pores and lead to breakouts. Leave your shaving cream, on your face for a minute or so (preferably 3-4 minutes!) before beginning to shave. While waiting you can brush your teeth, do your hair....or check Instagram. Consider the process of shaving a morning (or evening) ritual in self-care. And if that doesn't resonate with you, just trust us when we say that going slowly and treating your skin gently will help prevent those breakouts, ingrown hairs, and irritation we all want to avoid.